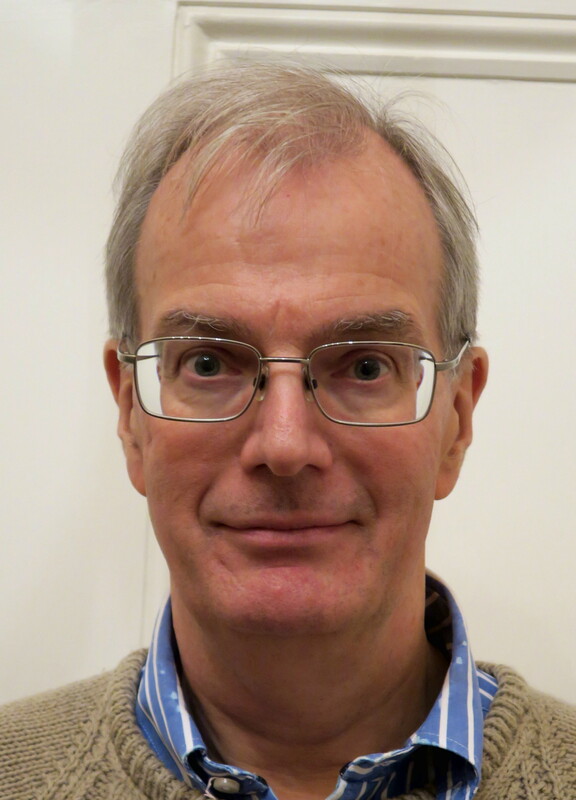 The concept of “the common good” dates back at least to Aristotle and has been used by political theorists, moral philosophers and economists down the ages, including people as diverse as Thomas Aquinas, John Locke and Adam Smith. It is a basic concept in Catholic social teaching and is easily understandable by all. However, it is not familiar today in discourse about the purpose and role of business. Wong and Rae want to change this. They suggest that, “it is an important time to reconsider what business, and our current or future participation in it, is all about” (page 28) and they undertake this reconsideration by first considering the purpose of those engaged in business. They suggest that, “The idea that business can be a calling is becoming more widely appreciated and accepted” but that “what exactly business is a calling to needs much more exploration” (page 33; the emphasis is theirs). They then launch into the required exploration. The first part of this leads to the conclusion that business is a calling “to transformational service for the common good” (page 76) and the implications of this are then worked through. Business for the Common Good forms part of the InterVarsity Press “Christian Worldview Integration Series” and is, thus, written primarily for Christians. However, Prabhu Guptara observes in his endorsement that “Nothing in this book prevents it enriching the lives of Hindus such as myself – or, as far as I can see, those of Buddhists, Muslims, agnostics or atheists!” He is right. The book’s conclusions do not depend upon any theological propositions other than a general view of God and the World that will be shared, at least in its more important features, by millions of people of various faiths and, at least in relation to its view of the World, by many of no faith. Furthermore, although the Series Preface suggests that college students may be a primary target audience, the book is likely to assist a far wider audience, including those who have been in business for many years. Some readers will find its lack of interaction with other literature a downside but others will welcome the fact that it does not assume any prior reading and deals with issues from first principles. After an over long Series Preface and their (shorter) Introduction, Wong and Rae helpfully examine the purpose of work, addressing the question whether work has merely an instrumental purpose or whether it also has an intrinsic purpose. Put simply, do we work merely to live or do we live to work? Many, perhaps most, people today would say that they work to live and for the poor this may seem obviously true but Wong and Rae seek to re-establish the idea that, as Martin Luther said, “The entire World is full of service to God, not only in the Churches but also the home, the kitchen, the cellar, the workshop and the field of the townsfolk and farmers” (page 60). As Wong and Rae put it, “Our work can serve as an altar” (i.e. an act of worship; page 46). On this basis, they ask whose interests business should serve. It is their analysis of this that leads to what they describe as their “Christian vision for business” (page 76) and hence to their basic proposition that the calling to business is a calling to transformational service for the common good. Having laid these foundations, they then turn to a series of specific issues: how involvement in business can result in negative effects on our character but how it can also transform us for good (which they rightly describe as a “rarely examined question”; page 37); what our attitude towards wealth, success and ambition should be; how we should respond to globalisation; ethics in the work place; business leadership and management; marketing; and stewardship and sustainability. Finally, they turn to what they describe as “several exciting (and very inspiring) ways that emerging practices and organisations are moving business towards becoming proactive and intentional partners in solving social problems” (page 38). This is a huge amount to cover in a relatively short book and some parts of the book may leave the reader feeling a little short changed. However, this is not a superficial book or one that deals in generalities. It is closely argued and it is careful to explain both its starting points and its logic. It is also good to see issues such as the ethics of marketing addressed head on rather than in passing and, more generally, to have work place ethics placed in the broader context of the purpose of business rather than considered in isolation. More seriously, many may question whether it is realistic to expect society as a whole to adopt Wong and Rae’s view of the purpose of business and whether it is even worth attempting to persuade society to do so. Wong and Rae are ethicists not business people and on occasions this is revealed in a lack of sophistication in the examples of business situations that they give. Furthermore, their view of the world leans towards the optimistic end of the theological spectrum (being in Niebuhr’s “Christ the Transformer of Culture” category and, in some respects, leaning towards his “Christ of Culture” category) and many will wish to question this optimism. Wong and Rae recognise these issues and seek to address them. Not all of what they say is wholly convincing and they leave many unexamined issues (e.g. with regard to the role of competition). However, the points that they make should at least cause those who are more pessimistic, whether from experience or theological conviction, to analyse their views and perhaps conclude that, even if they are right to be pessimistic, Wong and Rae’s basic suggestions are worth pursuing. Business for the Common Good provides an overview of its subject matter and, if it leaves readers with many questions requiring further exploration, that is for the good. Wong and Rae state that their intention is “to plant seeds, deepen conversations and enable changed outlooks, purposes, values and practices” (page 285). Their book should achieve this goal. 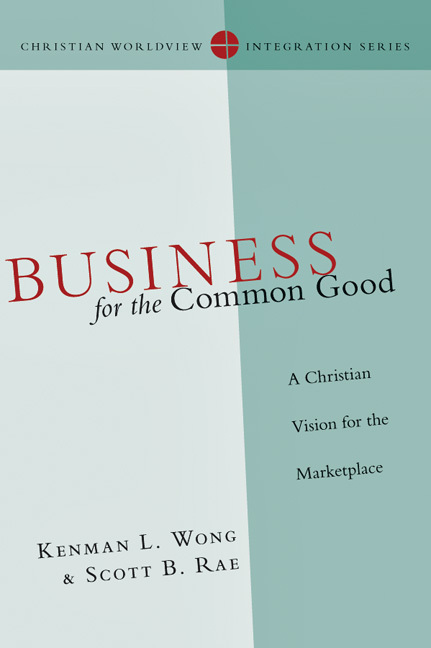 “Business for the Common Good” was published in 2011 by InterVarsity Press (ISBN 10: 0830828168). 288pp.